On Sale £ 49.95 - all incl (No hidden extras). 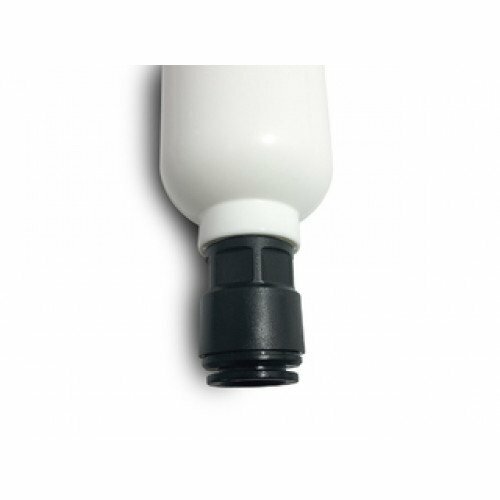 Revolutionary Patent Pending New Filtration Media Designed by British Inventor with over 30 years' Experience in Water Filtration. Many gardeners are becoming increasingly aware that normal tap water they use to water their plants is not the best option. The problem is the levels of chlorine in normal tap water. Chlorine was, after all, designed as a nerve gas and is mixed into our municipal water supplies to kill off bacteria and other living organisms. But plants rely for their food and well being on many of the organisms that chlorine kills off so efficiently. So tap water can be actually harmful to your plants. We are pleased to be able to offer you the following solution to this gardening problem. 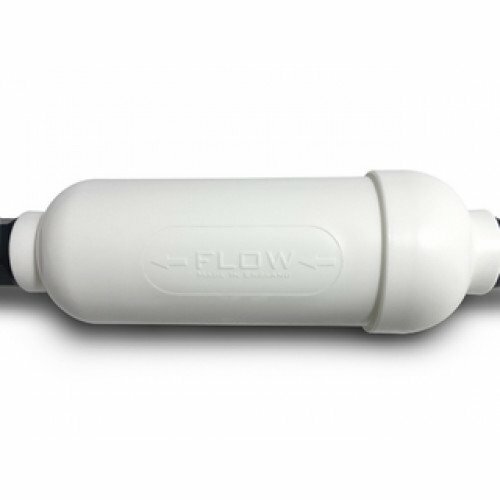 The Garden Hose Filter effectively removes up to 99% of chlorine from garden hose water. It's also ideal for pets - both for supplying their drinking water and for washing. Plus enjoy fresher summer time pool activities, and it's better for washing cars. Simply insert your garden hose tube ends into either end of the filter. Most people place it near the garden tap ie they cut into the watering hose a short length from the tap and then place the rest of the hose on the filter outlet side. This means you don't have to carry it around as you water the garden - though it's not very heavy. The garden water filter stays effective for a year. 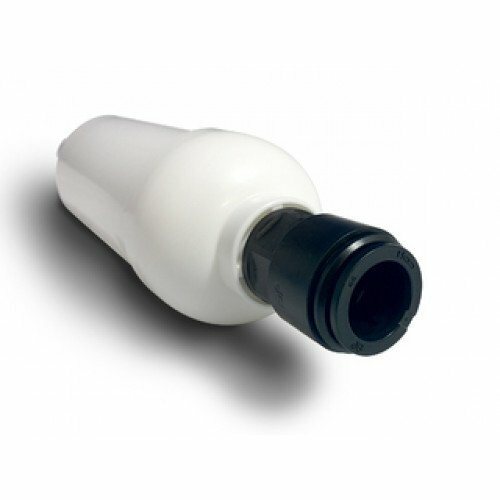 This filter removes chlorine and can be used to supply purified water to your Koi Carp pond. However, additional filters might be required. For example nitrate removal filters. Plus a gravity fed or other detritus removal filters. If you are starting out you need to do some research. Don't just fill a pond with filtered water and throw some expensive Koi carp in ! 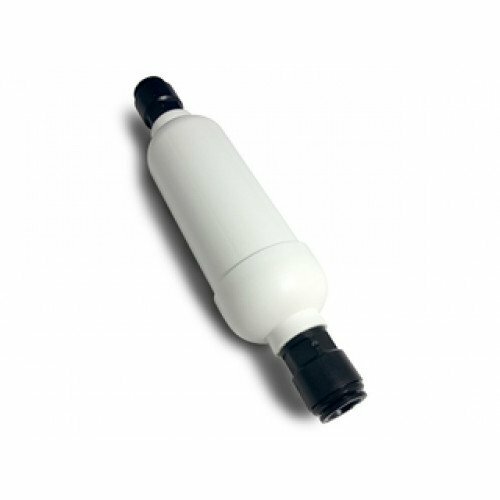 The garden water filter removes 99% of chlorine for up to 4000 litres / or a year - whichever is the soonest. It's performance will decrease proportionally after that. Very pleased with this purchase, we shouldn't have to drink chlorine so why should plants!